Today's tea class was about red, fully oxidized, teas. It's a category that was long overlooked by tea drinkers, because it was synonymous with low quality cut leaves (in bags) that were so astringent and uninteresting that tea makers were scenting them with all kinds of essential oils and drinkers would add sugar and/or milk to be able to drink them! This changed in 2007, after the end of the (first) puerh bubble in China. A red tea called Jin Jun Mei was introduced and it became very popular with Beijing's elites. This tea was originally made with the finest Lapsang Souchong buds, and it was only lightly smoked. Now, Jin Jun Mei is so popular that it's made from many different kinds of tea cultivars, but it's always made from buds, so that the dry leaves appear as thin as golden eyebrow hair! Jin Jun Mei marked a rebirth of top quality, whole leaf red tea. It's like a circle that is being regenerated, because Lapsang Souchong is actually the very first red tea that was created during the Qing dynasty (1644-1911), near the Wu Yi mountains in the Fujian Province. Since 2007, great red teas have been produced on both sides of the straits. In Taiwan, red tea production has become popular even in high mountains (Alishan, Lishan...) where Oolong farmers make red tea in early summer to diversify their tea offer and answer the demand for quality reds. The association of red tea, quality and the organic movement has also helped the development of honey aroma red tea (mixiang hung cha) on the East Coast of Taiwan (with no additives). So, we started by a taste of my red Da Yeh Oolong cultivar from Tse Ke Shan from this spring. Very nice body, sweetness and persistence of the honey aromas. 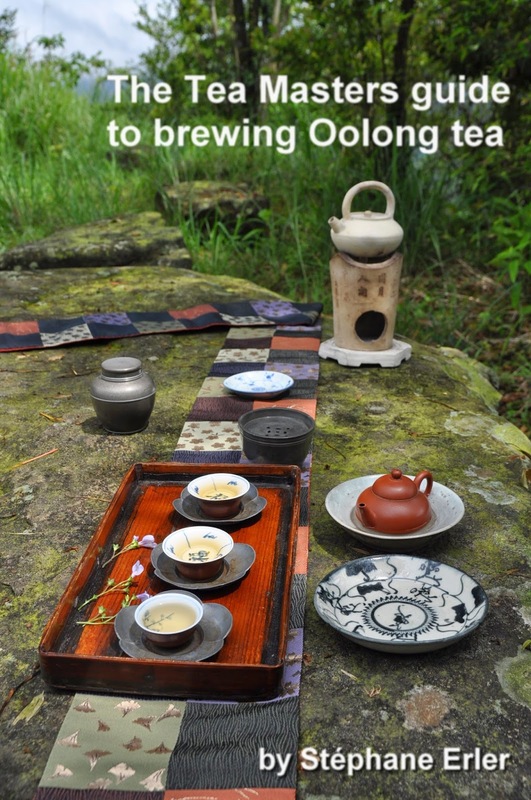 Then, we brewed my spring 2012 Qingxin Oolong from the high mountains of Yunnan. This is a very fine example of this crossover I mentioned earlier: making red tea with Oolong from high mountains. The fact that it comes from Yunnan enabled us to get very small leaves and a different terroir. The scents are very high pitched: citrus, orange flower. The aftertaste was cool and the taste slightly astringent. Our third red was my spring 2011 Big Arbor Dian Hong. This is also an innovation aimed at producing a red tea of the same or higher quality than Jin Jun Mei: making red tea with old puerh tree's buds! This tea had red berry (blackcurrant) scents and a very powerful, rich and clean taste. The highlight of the class came at the end. 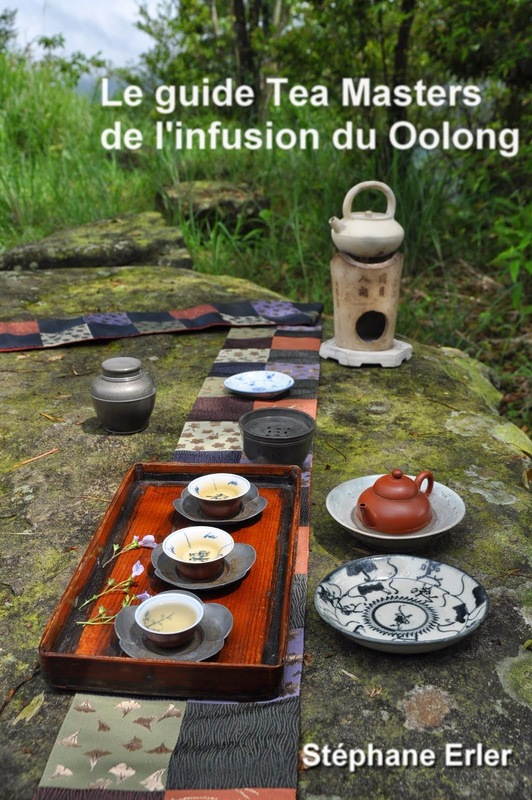 Given Lapsang Souchong's importance in the birth and revival of top quality red tea, it was important to get to taste this remarkable tea with leaves from the original Tongmu village. And we did this with the most fitting De Hua porcelain teapot and tea cups! This was Heaven and felt like an early Christmas for us tea! Loose red teas can be just as enjoyable as Oolongs and puerhs! I've been enjoying your frequent posts this month. On some occasions you posted about teas that I have purchased so I've been able to read your post and then brew the same tea. I found this to be a very valuable experience. I heard a few institute members will visit you over the winter break. I can't wait to hear and read about what they learn! Yes, Ryan and 3 more members are coming to Taiwan right after Christmas! Thanks for your comment about my Advent series of posts. I was starting to wonder if writing so often isn't detrimental to the quality of the content.